Canada Summer Jobs: headed to a courtroom near you? These have been an interesting seven days for those with interest in Canadian religious freedom. Two important decisions in regard to violations of religious freedom demonstrated that decision-makers are not necessarily listening. A third suggests, it is possible. Hope – adventus as Jürgen Moltmann referred to it, the need for something new to come from outside to change the situation, like the advent of Christ, the Hope of the World – was high that the Canadian government would hear the united voices of over eighty religious leaders and thousands of calls, emails and letters to Members of Parliament, Minister of Employment Patty Hajdu and Prime Minister Justin Trudeau about problems with changes to the Canada Summer Jobs (CSJ) program that bar participation for many religious organizations. On Saturday, the Prime Minister posted photos of himself observing Holocaust Remembrance Day. Surely he would hear the pleas of Canadian rabbis in regard to CSJ. Any concern for the marginalization and exclusion of an identifiable group of religious Canadians, including Jews, precipitated by the CSJ attestation requirement did not, apparently, change his mind. Two days later, the Prime Minister attended the ceremony observing the first anniversary of the attack at the Centre culturel islamique de Québec in Ste-Foy where six Muslim men were killed and nineteen seriously injured while participating in worship. Surely the Prime Minister would listen to the pleas of Canadian imams in regard to the CSJ attestation requirement? Not yet. The next day, Prime Minister Trudeau announced Canada will officially recognize the International Decade for People of African Descent. The day after that, he issued a statement celebrating Black History Month. The significant and continuing contribution of Christian black leaders, including congregations and ministries that have a history of accessing CSJ funding to benefit vulnerable communities must have come to mind. Perhaps, he would hear these leaders in regard to the CSJ attestation requirement? He did not. Having committed to be in the House of Commons for Question Period each Wednesday when Parliament is sitting, it was reasonably anticipated we would that day get answers from the Prime Minister to the questions with which Canadians have inundated Members of Parliament since the CSJ announcement in December. This week, however, the first week Parliament is sitting after the government’s announcement of the revised CSJ attestation clause, Prime Minister Trudeau opted instead to leave Ottawa following his morning caucus meeting, skip Question Period, and fly to Winnipeg for a town hall Q&A at the University of Manitoba. 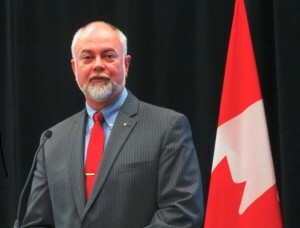 The response of Minister Hajdu and Prime Minister Trudeau to the repeated efforts of Canadian religious leaders, from across the spectrum of faith communities, has been to repeat government talking points, like the tourist speaking slowly, louder and more assertively in a foreign land, as if religious leaders did not understand them the first time. Core mandate and student hiring conditions as defined in the new for 2018 requirements from the federal government for CSJ funding insist religious leaders and communities must compromise their beliefs, surrender the constitutional right to ‘freedom of conscience and religion,’ and relinquish the right granted under provincial human rights legislation to observe religious beliefs and practices in the hiring of co-religionists, even summer students, for their work. Each summer, many CSJ summer students have worked with religious charities to serve, among others, the needs of those with disabilities, or identified as underprivileged, or the most in need and at risk in our society. Without question, they have also provided services that benefit co-religionists, equally Canadians. The mandated checkmark may have seemed innocuous to government officials, but the response of religious leaders made it clear the attestation statement to which that checkmark is affixed was a demand to betray their beliefs. In addition to calls, letters and emails, the concern was expressed at town hall after town hall. Unfortunately, the Prime Minister’s response at those town hall gatherings suggest he is more concerned about talking than listening. Thursday, the Standing Committee on Canadian Heritage issued its report Taking Action Against Systemic Racism and Religious Discrimination including Islamophobia, in which it recommended consultation with religious organizations on government action that affects them. (There is some good stuff in the report, for a later blog. There are Liberal, Conservative and NDP MPs who consider listening to religious perspectives by government to be both possible and beneficial.) On the matter of Canada Summer Jobs funding, such consultation might have prevented the current predicament. Actively listening to after-the-fact communications from religious leaders and Canadians from coast-to-coast-to-coast would also have led to a solution. The last time I was as disenchanted by government refusal to hear legitimate concerns about taking action that will have damaging impact on employment opportunities and services for Canadians living on the vulnerable edge of our society was the previous government’s decision to cancel the national census. The Canadian census is internationally recognized as one of the most accurate. It is valuable to government at all levels (federal, provincial, municipal, school boards), charities and businesses for their program and financial planning. The people most impacted by the cancelled census were those who became the invisible disadvantaged, because they did not show up on the national household survey. The same holds true for those who will lose out on the benefits of summer jobs and the programs conducted by summer student employees across the country. Many are students on the edge of being able to pay for their education. Others are those living on the edge of poverty who will lose the option of supervised activity for their children during school vacation, and those caring for special needs children who will lose the one or two weeks of respite provided by summer camps or a few hours each day provided by local church-run day camps. While the clock ticked down to the Friday midnight (Pacific Time) deadline for CSJ applications, Minister Hajdu offered her own form of compromise. To those asking for a change in the attestation clause and an extension for application, she conceded a one-week extension, but kept the clause. Is there still hope that the many voices, and more voices, might be heard over the next week and the necessary adjustment take place? Hope had also been high that three judges of the Ontario Divisional Court would sort out the law, accurately apply the Charter, and protect physicians from being forced to choose between violating their consciences or leaving their current medical practices. Thursday, in its decision, The Divisional Court concluded the beliefs of physicians were indeed violated by the College of Physicians and Surgeons of Ontario’s policy requiring all practicing physicians in the province to participate in ending-life medical procedures. But, the court also found it justifiable to require this standard as a condition of patient care in the province. (Yes, patient care was defined to include intentionally ending the patient’s life.) Ontario is the only province refusing to accommodate physician’s personal beliefs on this matter. Unchallenged, the decisions of government and court will mean those in greatest need will be those who suffer most. The shortage of summer opportunities for those in need – whether student employees or student clients – means the vulnerable, perhaps the most vulnerable, will pay the cost Canada’s government has so far declined to fund because of an ideological transformation of a previously non-discriminatory successful program. The violation of physicians’ beliefs will result in a different kind of shortage. Doctors have said they will retire or move on from meaningful work that was, for them, always about healing, easing pain, and saving lives. If either or both decisions are to be contested further in the courts – the guardians of the Canadian Charter of Rights and Freedoms, as it were– there will be a different cost. The litigation process is expensive. If you believe these freedoms are deserving of continuing protection, i.e. equal treatment of all applying for summer employment grants (of our money from our government) and recognition of the conscience rights of those who have taken an oath to do no harm, then you will want to follow the status of these situations. In addition to prayer and writing your MP about the CSJ, or your Member of Ontario’s Legislative Assembly about the policy of the government regulatory College of Physicians, you may also want to make an encouraging financial contribution to those fighting the fight for continued recognition of our constitutionally guaranteed freedom of conscience and religion. However these situations turn out, hope – adventus – is not sacrificed at the feet of Prime Minister or Divisional Court. We do need to keep praying for our Prime Minister, government leaders and the judges of our courts; appealing to Him who is our Hope, with confidence He is, in truth, the Hope of the world. As a lawyer whose practice is largely focussed on religious freedom litigation, I read about the issues and cases referred to in Under Siegeon a regular basis. Don Hutchinson has been able to present a legal and political history of religious freedom in Canada in a manner that is not only easy to follow and understand, but also personal and engaging. It is written for lawyer or layperson and is equally accessible.